Norman, OK – January 10, 2018 — Weather Decision Technologies®, Inc. (WDT), the leading decision support and weather analytics company announces the launch of 48 new weather data services that compliment an already robust GIS offering. 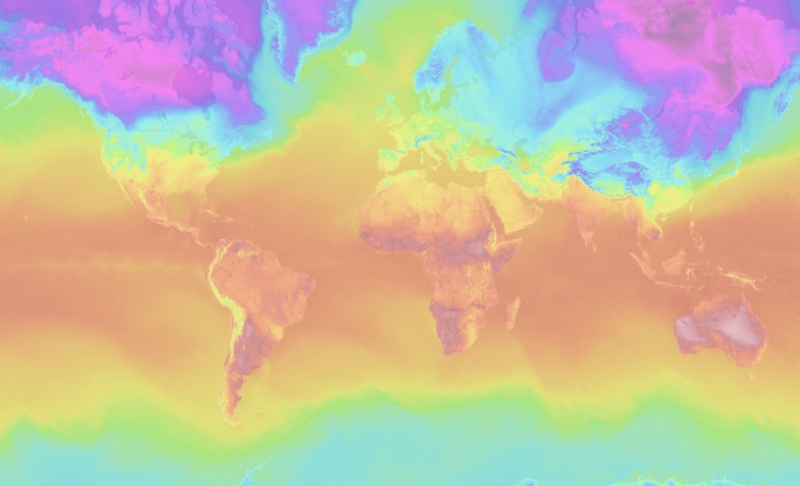 WDT’s success with real-time high availability commercial weather data services built on ESRI’s ArcGIS Enterprise platform has prompted WDT to expand this offering. Included in the 48 new data services are global current conditions analysis, global forecast data out to 10 days, and high-resolution forecast data over North America. These services are built on WDT’s global weather data platform which provides industry leading forecast and historical data. WDT’s high resolution forecast data can extend existing maps and applications built by ESRI users across many industries, enabling them to build new applications for spatial analysis. For example, traders in weather sensitive commodities can glean more insights, utilities can forecast load, and agricultural operators can better predict how weather will impact their operations. Headquartered in Norman, OK, WDT provides organizations with actionable weather analytics and decision support. The company, an ESRI Silver Partner, helps clients leverage weather information for profit and safety globally. Hazardous weather detection, prediction, and decision analytics are available via APIs and GIS layers, as well as WDT’s leading risk mitigation SaaS platform, WeatherOps®. WDT takes business continuity activities to the next level by assigning expert meteorologists to monitor global assets and provide live, one-on-one consulting before and during severe weather situations.